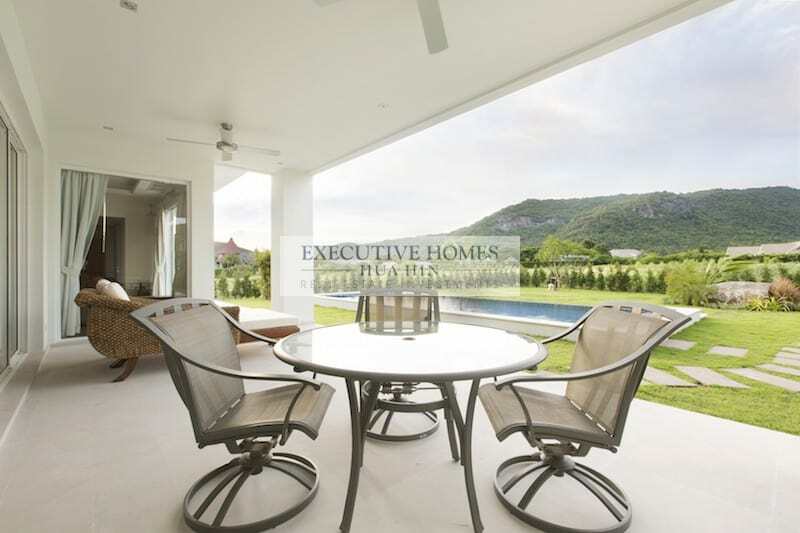 This is easily one of the nicest homes in the Hua Hin area available for rent. 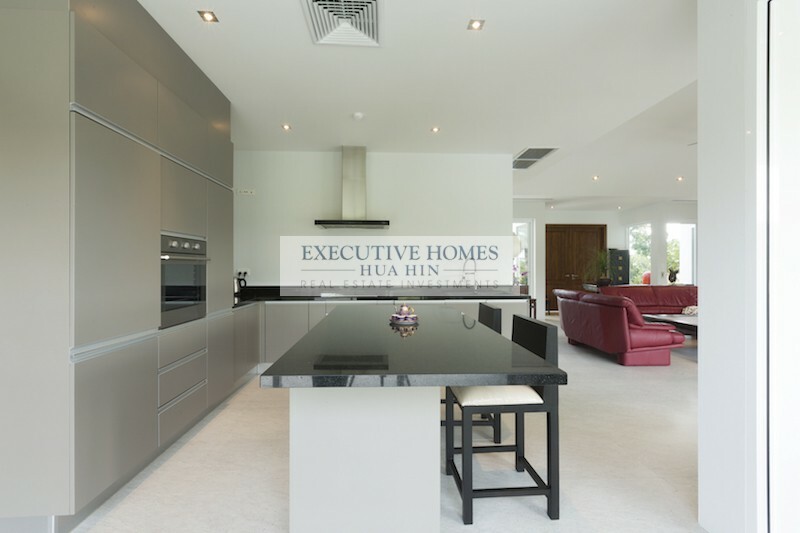 The home is in great condition and has been maintained to a very high standard. 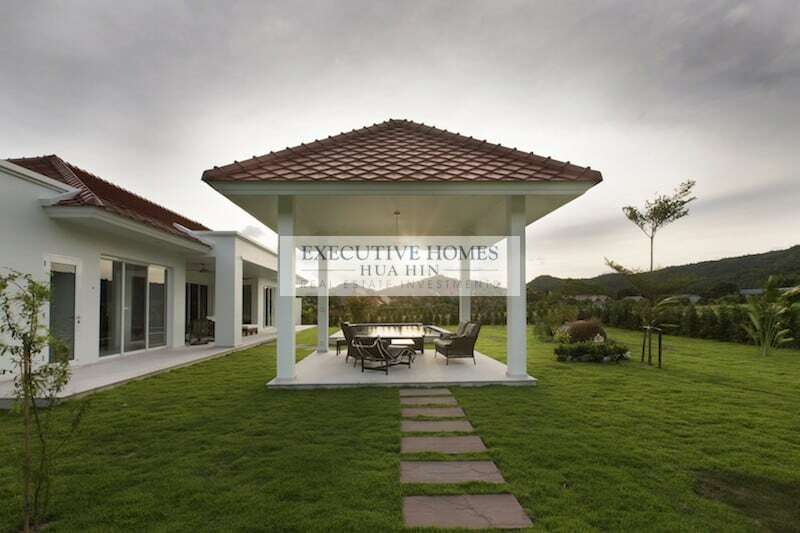 The construction quality is some of the best in the Hua Hin area, and the home is located within one of the nicest, most prestigious, most beautiful developments in town. The development enjoys many amenities, including: an organic restaurant (with delicious food and a great wine list! 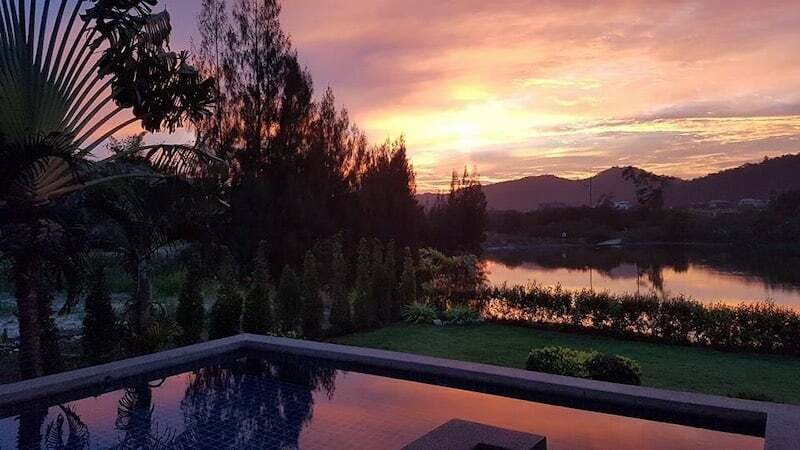 ); a fully equipped fitness centre with personal trainers and yoga and Muay Thai instructors; tennis courts; a full service wellness spa; 24 hour security; and large public green spaces. 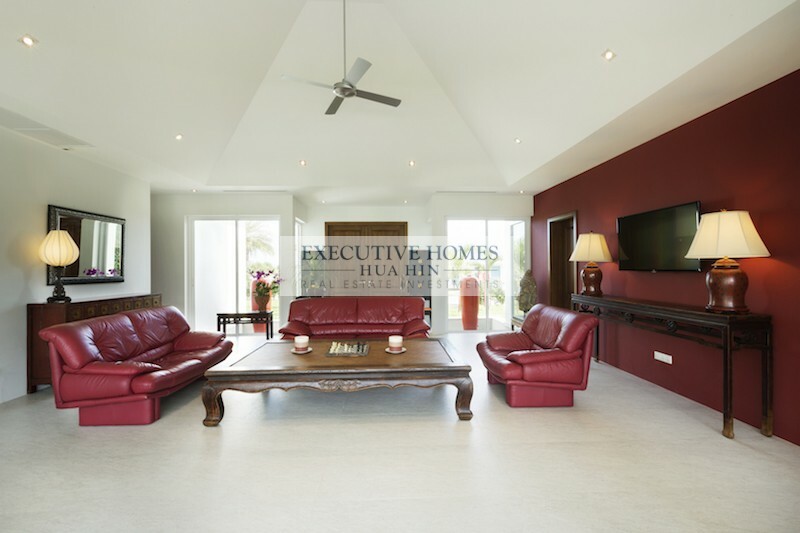 The location of the development is West Hua Hin, 1 km to the prestigious Black Mountain golf course and approximately 10-15 minutes to central Hua Hin. 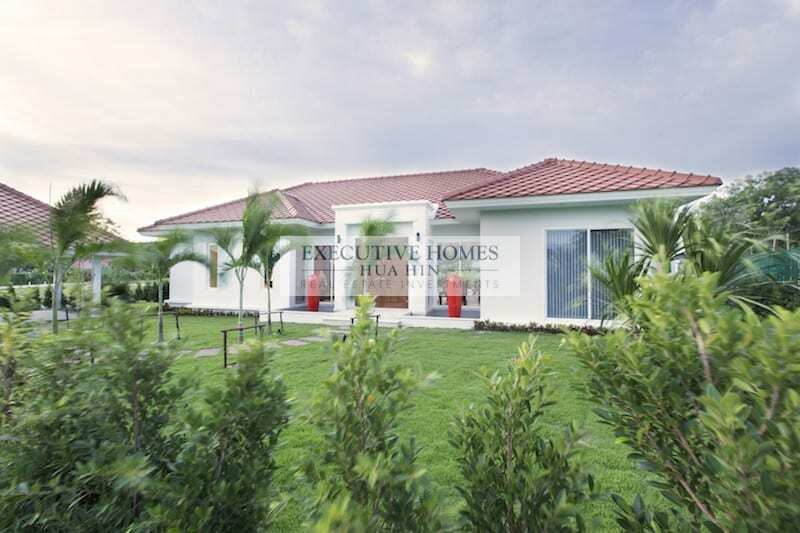 The development is 5 minutes to the bypass road for easy and convenient access to and from Bangkok. 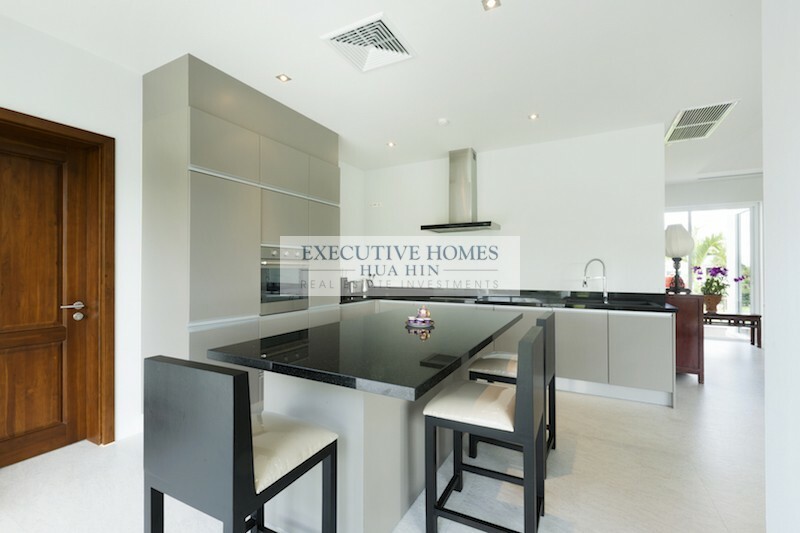 The home has a beautiful, ultra modern, high gloss kitchen with high quality, luxury appliances, plus a functional, Thai kitchen and utility room behind. 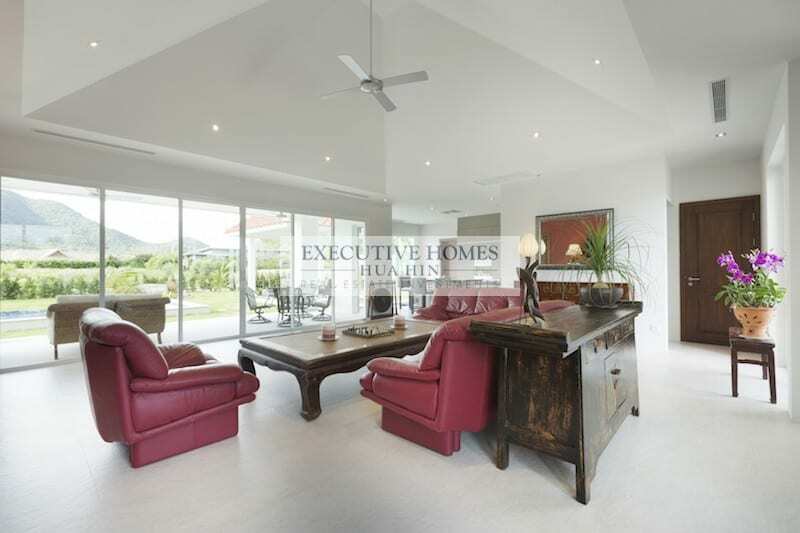 The living room and dining area are open plan to allow for maximum air flow (there is a great cross breeze when the doors and windows are open) and to enhance the feeling of spaciousness. 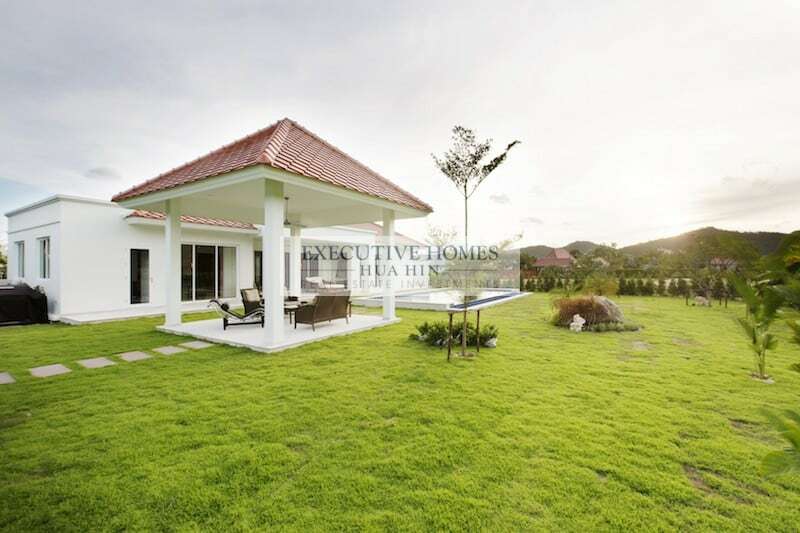 The land area is quite large with private gardens, a big lawn, expansive mountain views and a lovely covered sala with pool loungers and sofa set. The pool is large at 14 meters long, and the terrace is spacious to enjoy outdoor living with a lovely lounger and dining table. 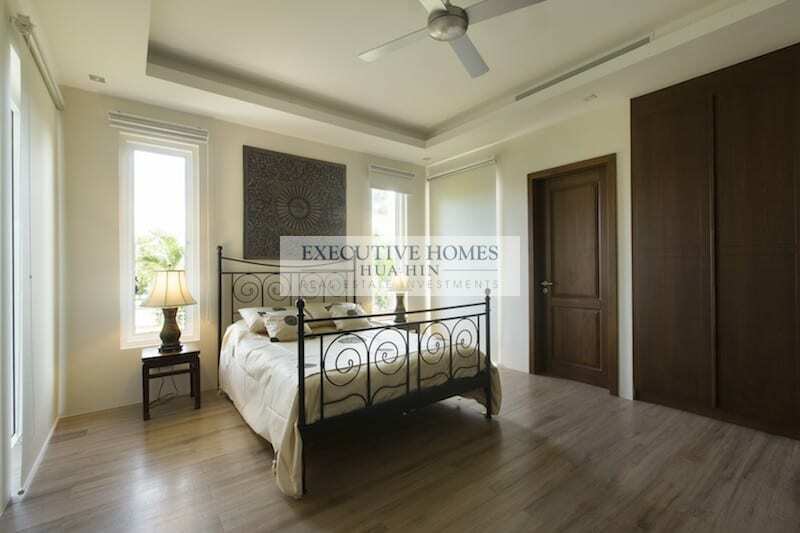 The home has 3 large bedrooms, all of which are en suite. 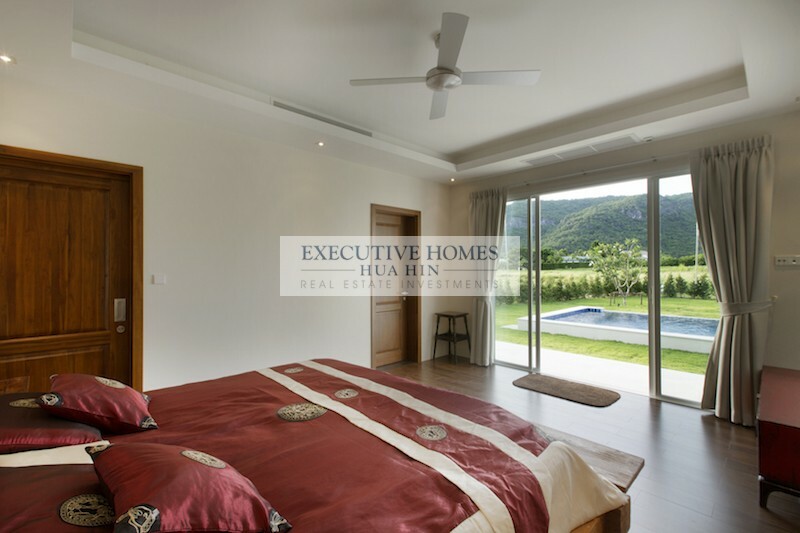 The master bedroom enjoys a gorgeous view with direct access to the terrace and to the pool, as well as a walk in wardrobe with high quality shelving system. 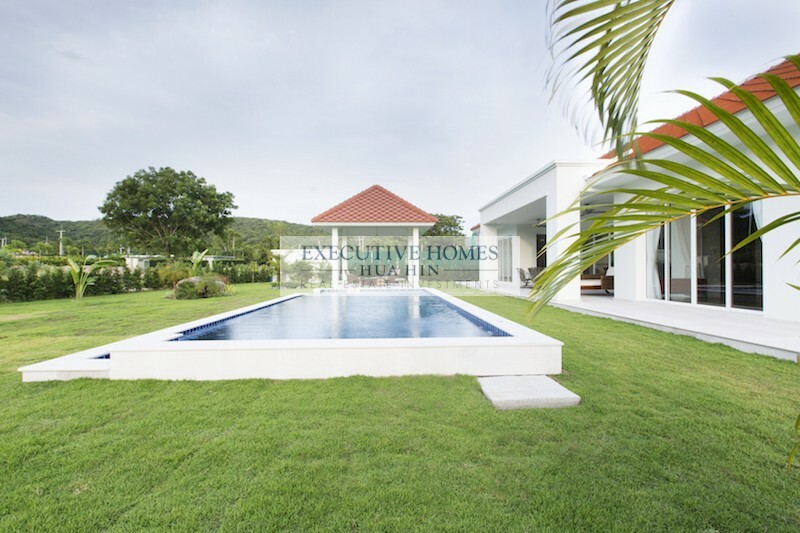 Every detail has been considered, and the home is move-in ready immediately.